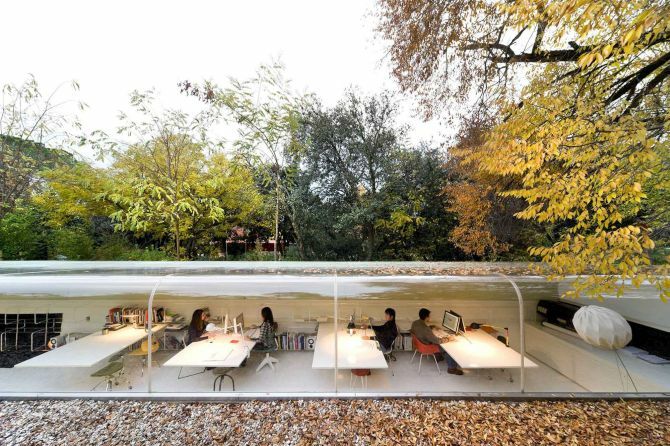 Designed by Iwan Baan, Selgas Cano office situated in a forest near Madrid, in Spain is one of the coolest offices in the world. Also, it is one of the most relaxing offices in the world. This is because staff inside the office works half underground and half above ground, while overlooking into the woods. 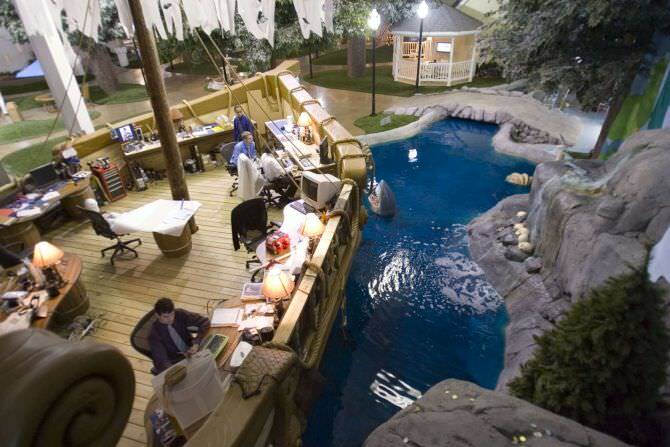 The Inventionland Design Factory consists of ship-wrecked in the pristine waters, and also a pirate ship. Due to this natural interior environment, employees always feel motivated to create various high-tech products and games. It’s no secret that Google is a company that keeps very good care of their employees. 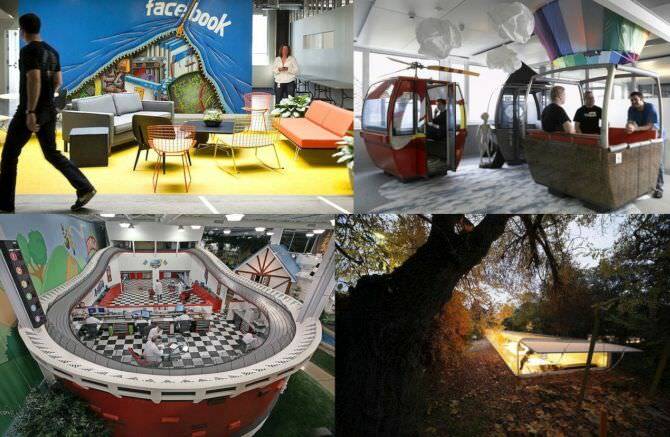 The workplace includes fun cubicle designs, playrooms and various other fun recreational areas. 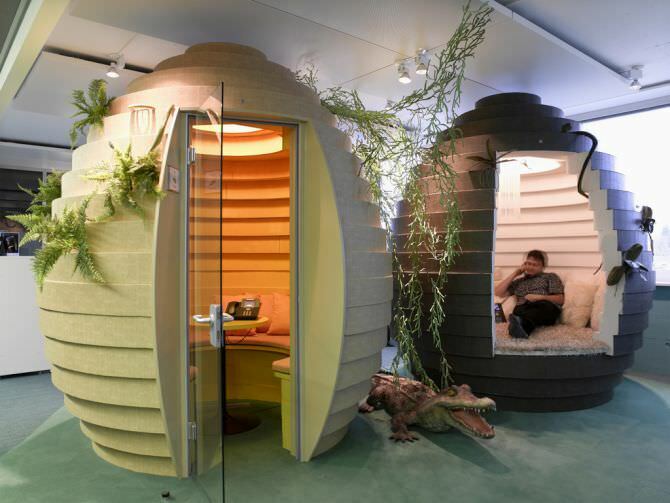 Google put in lot of money to create perfect work environment that makes the staff feel energetic all the time. Thus, helps them pull out the best results. 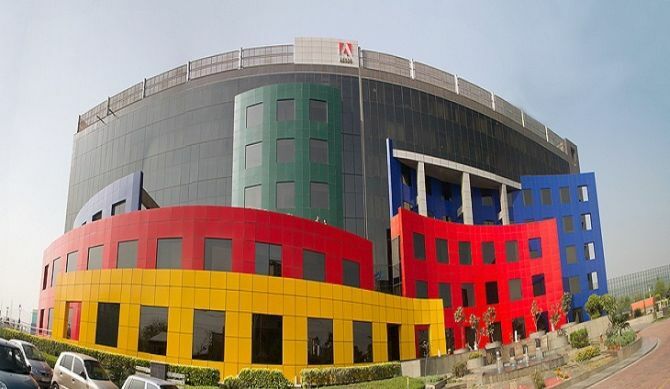 Adobe Headquarters in Noida, India boasts vibrant hues and innovative design layout. With the combination of art and technology, the office offers convenient working atmosphere for the employees. Dropbox is one of the growing offices in the world. 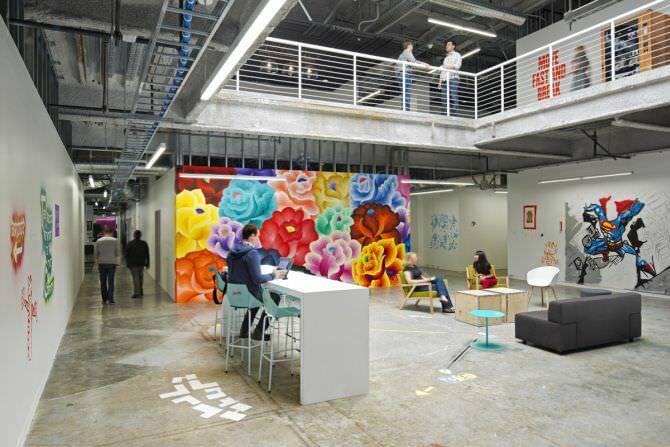 The office of Dropbox is designed with a unique combination of of Dropbox culture and local flavor. Due to this employees, feel like home and always stay calm and relaxed while working. 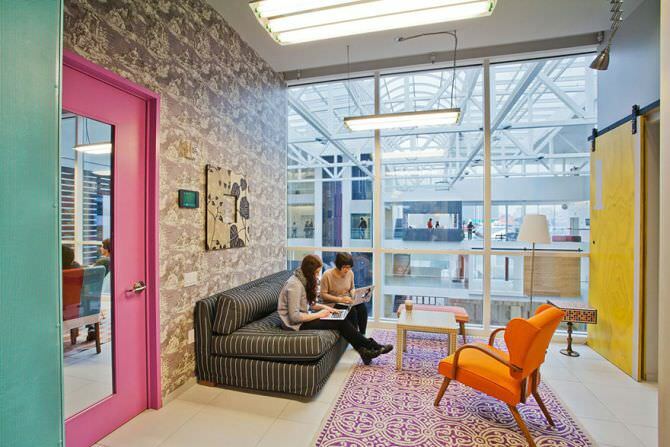 Airbnb office is designed to be the ultimate reflection of both the brand and the best of tech world. 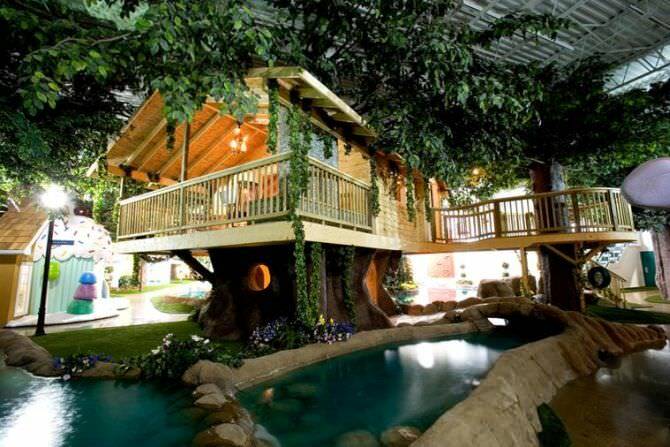 It includes a kitchen, a library, a nerd cave, a place to nap. 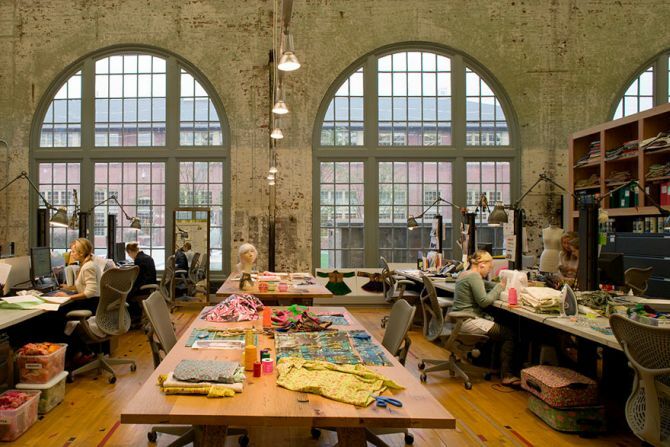 This way the workplace integrates both home-like environment and a space for practice as well as work. To build a perfect office environment, Facebook owner conducted various polls to ask the employees what exactly they expect from their office. On the basis of that poll, Facebook has managed to be one of the best working places in the world. With big open spaces to work and amazing relaxation areas along with place to skate, the office has everything one needs in a fun office environment. 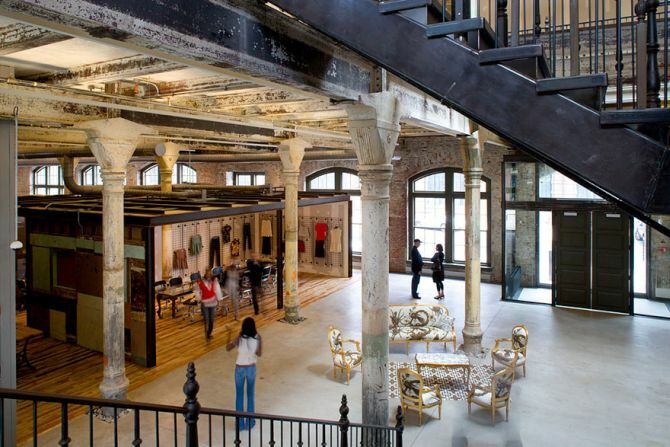 Urban Outfitters retail brand has amazing hipster vibe known for its on-trend fashions, accessories and quirky home-decor items. 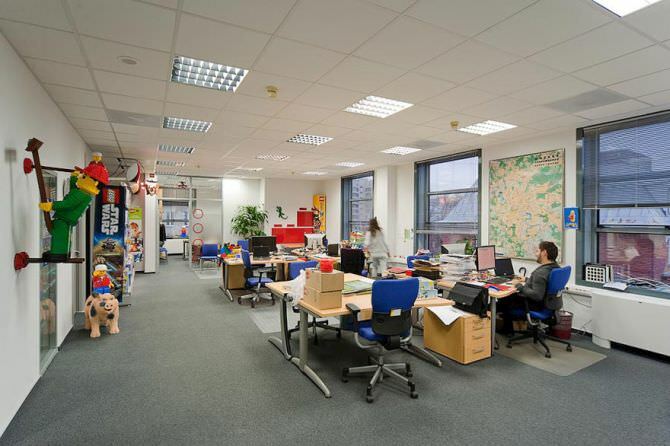 The interior of the office is also colorful and full of furn elements to keep the staff happy and lively all the time. 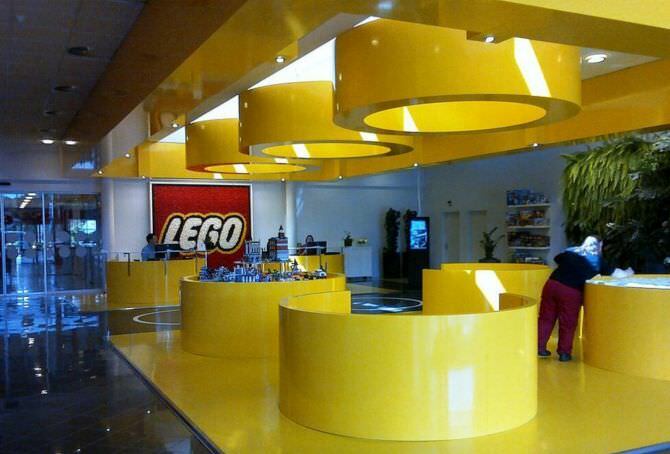 Just like its colorful Lego bricks, the Lego office also boasts a vibrant open-plan layout that encourages interaction and play between the staff. Meanwhile, the work-space provides them enough fuel for their imagination. The innovative architecture stands out with its petal shaped unique blocks and compartments. 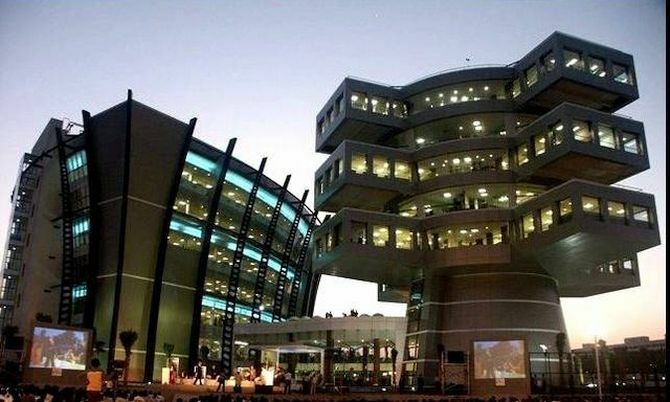 It is situated in the complete Bagmane IT park in Bangalore. Besides its beautiful architectural design, the office complex also has a dedicated block for customer care as well as development activity area for employees.